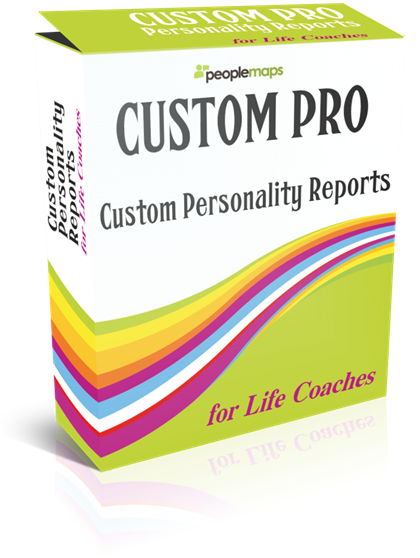 Looking For A Customised Personality Profiler To Use In Your Coaching Practice? Everything is done for you. Simply paste in a line of code to your site and you are ready to go. It takes years to develop a professional personality profiler. With Custom Pro you get the profiler you want without the development costs. Most people use their smartphones to access the Internet, which is why PeopleMaps is smartphone friendly. What Do You Want Included In Your Report? PeopleMaps has written thousands of personality topics over the last twenty years and has a huge library of personality content to draw from. Please describe what you want your custom report to be about and we will assemble it for you. You will probably want to introduce the personality report and say a few words to your audience. With Custom Pro you may write as much as you like for your introduction. If you want to include some colour to your report, PeopleMaps can provide graphics or you may provide graphics of your own, as long as you have permission to use them. You may write your closing comments that appear after the personality content. You may include instructions on what to do next and links. Although the report may be about any subject you like (providing it is personality-centric), the questionnaire remains the same. The questions and algorithm accurately determine the personality type. It takes years and hundreds of thousands of users to develop algorithms that are reliable. Your website visitors complete the personality questionnaire and then a short registration form. As soon as this is done the report is revealed to them. They are not charged for this. The entire user experience is delivered inside a “box” within a page within your website. This box is typically 300 x 320 px. We call this a personality widget. You may provide your own artwork from the from of the Widget as long as it is 300 x 320 and has a Button or call to action included. Your website’s colour scheme may also be matched in the questionnaire, if you provide the actual colour codes you want. PeopleMaps reports may only be distributed by a trained and approved PeopleMaps Coach. PeopleMaps includes an online video training course to all coaches using Custom Pro, if you haven’t already completed the training. The training is provided online via video. It is delivered via several short videos, covering everything from the psychology behind PeopleMaps to its application in coaching. PeopleMaps charges an annual license fee for Custom Pro. It is cheaper than you might think, as it is priced to suit small independent coaches. A report with just one or two personality topics will be cheaper than a report with five or six topics. If you are happy to use standard designs and colours it will be cheaper than a complex design. You may make monthly payments towards your annual license fee, rather than pay it all in advance. A license for ten reports per month is going to be a lot cheaper than a license for 100 reports per month. Please indicate the approximate number of reports you will issue. We only require an estimate at the outset, as we can adjust the license every few months (up or down). If you are unhappy with your purchase for any reason, then you may simply ask for a refund as PeopleMaps offers a Money Back Guarantee. There are no set up fees,. There is no contract. You simply buy the credits you need when you need them. What Can A Custom Personality Report Be About? Personality affects almost every aspect of our lives, so we can probably find a personality topic to meet your needs. There are a few things that are not personality centric such as “honesty” and we would not consider any prejudice issues such as racism. PeopleMaps competes directly with SHL, DISC and Thomas International. These are all professional systems, tried and tested over many years. As far as we are aware, PeopleMaps however is the only professional system to offer custom personality reports under license. Can I modify my license? Yes. Once you have been using your new profiling system, you will have a better idea of numbers. PeopleMaps is happy to modify the license arrangement every few weeks, up or down to suit your actual use. 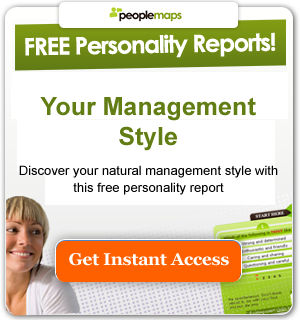 PeopleMaps only allows trained and approved coaches to distribute its personality reports. This is why training is included with the license. The training is provided online via video and may be completed at a time that is convenient to you. As a coach you find it interesting.